Romance is alive and well in Chicago, the third-largest city in the United States. With miles of lakefront to the east, and dozens of neighborhoods to the west, options abound. Whether you're looking to spend a day or evening inside or out, you're sure to find a place to take that special date. 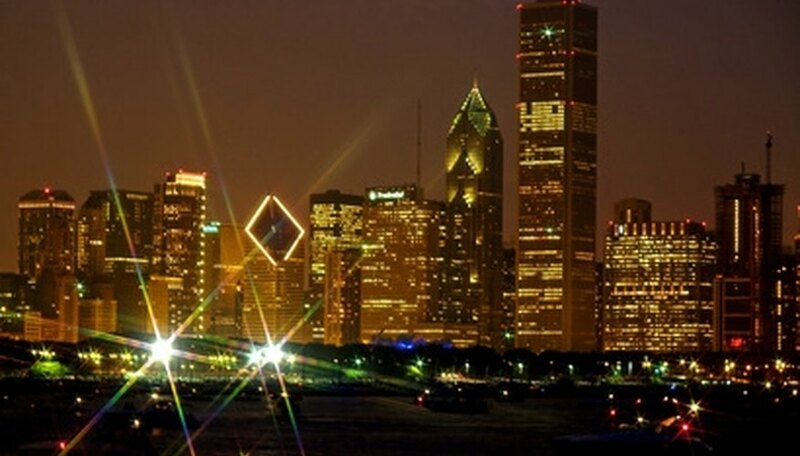 Chicago's skyline is a perfect backdrop for a romantic date. Lake Michigan is the eastern border of the city of Chicago. Whether you're on the north or south side of the city, you can take a stroll along the lakefront any time of day and look at the beauty of the water and check out the majestic skyline. Stroll along the lake at sunset and settle in for an early evening picnic for an easy, inexpensive way to spend time with your loved one. The John Hancock Building in Chicago's Gold Coast has a restaurant and lounge on the 95th and 96th floors, providing breathtaking views of the lake and the rest of the city. If you're looking for an evening out in a swank location, the Signature Room is the place to be. Millennium and Grant Parks in downtown Chicago are both great destinations for a romantic night on the town. Throughout the summer, concerts are held at the Petrillo Music Shell in Millennium Park. You can take a picnic and enjoy each other's company while listening to the sounds of the symphony. If you're looking for a little more peace and quiet, but still near the bustle of the city, wander over to Buckingham Fountain in Grant Park and watch the water and lights of the fountain dance in front of the Magnificent Mile. Chicago's neighborhoods are spread out, and often people tend to stick to their home turf. But if you're looking to branch out, take a stroll around Chicago's famed Wicker Park, made famous by the movie of the same name. The park is a great place to stroll around, especially in the fall when the leaves are turning colors. Another option is to head farther north to Lincoln Park, and stroll around the zoo, which is open and free year-round. Swanson, Jaime. "What Are Romantic Places & Date Ideas for Chicago?" Dating Tips - Match.com, https://datingtips.match.com/romantic-places-date-ideas-chicago-7813847.html. Accessed 24 April 2019.